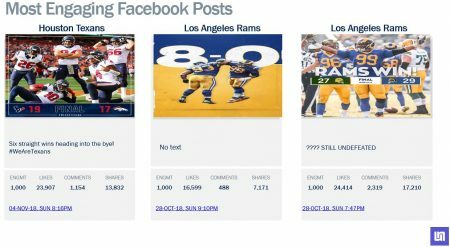 The Los Angeles Rams may have fallen from the ranks of the undefeated Sunday, but that didn’t hamper the team’s performance on Facebook, Twitter and Instagram during weeks seven through nine of the National Football League season. 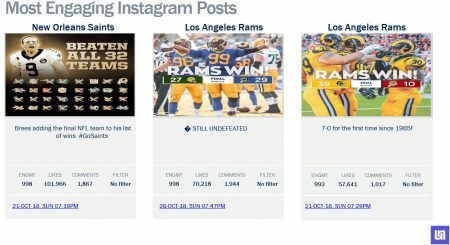 According to social marketing firm Unmetric, the Rams posted the highest growth across all three social networks from Oct. 18 through Nov. 5, as well as the highest engagement on Instagram. 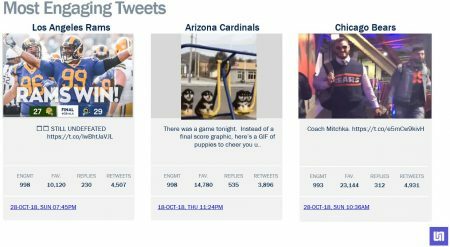 The Kansas City Chiefs topped Facebook in engagement, while Twitter was led by the Indianapolis Colts. 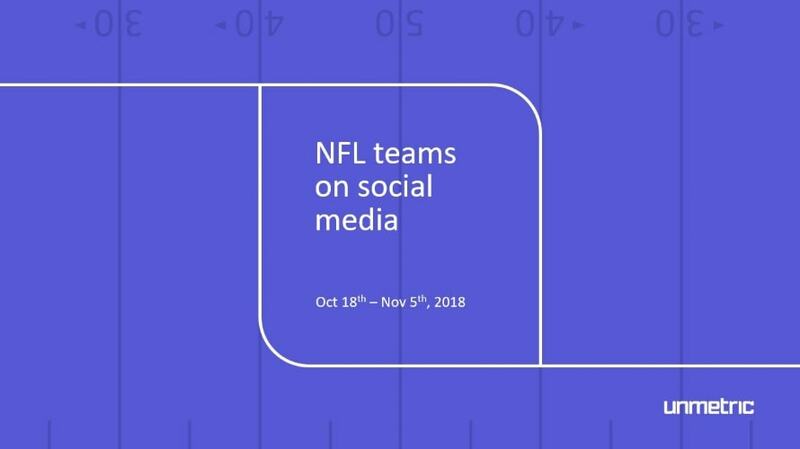 The Dallas Cowboys maintained the highest audience size on Facebook, while the New England Patriots continued to do so on Twitter and Instagram. The Cowboys were the most prolific Facebook posters during weeks seven through nine of the NFL campaign, while the New Orleans Saints were the top tweeters and the busiest club on Instagram was the Carolina Panthers. The Panthers led Facebook in likes, while the Patriots paced Twitter and Instagram. 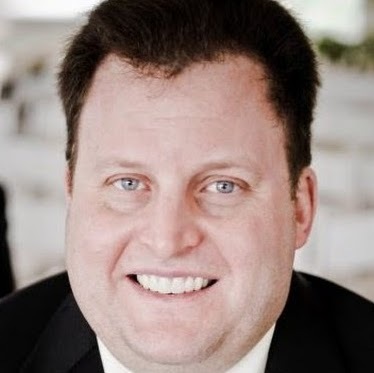 The Cowboys led Facebook in comments, while the Panthers did so on Twitter and Instagram.